From 14,000 feet to 17,000 feet, much of the lava is covered by an ice cap which is about 17 square miles in size and is up to 350 feet deep. As computed by ArcImaging, the coordinates that cover the ice cap area on Mount Ararat are N 39 degrees 41' to N 39 degrees 44', E 44 degrees 15' 30" to E 44 degrees 19' 30". The area of this rectangle is about 31.6 square kilometers. The Mount Ararat region along with the Araxes river valley constitutes a possible beginning location for the archaeology of the Early Transcaucasian culture with its distinctive red-black burnished ware. There are a number of Chalcolithic and Early Bronze Age archaeological sites around Mount Ararat in Turkey, Armenia, and Nakchivan. Archaeologists would like to research this area more but the border region is difficult to get permission to research as well as the border breaks up the research area into separate nations... 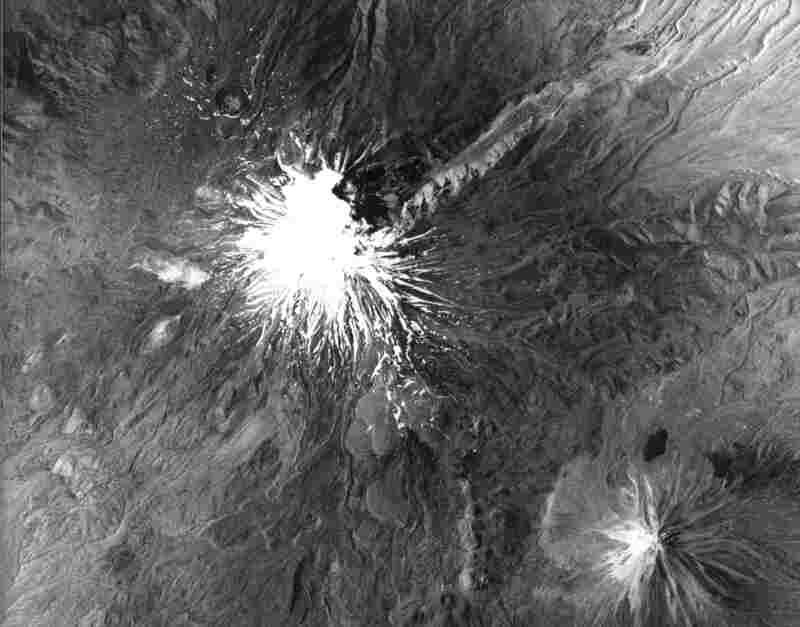 However, ArcImaging was able to secure permission in 2001 for the first archaeological survey of Mount Ararat since the 1980s. The Mount Ararat Archaeological Survey co-authored by Ataturk University Archaeology Professors in Erzurum, Turkey and Rex Geissler of ArcImaging was published in the Summer 2008 Edition of Bible and Spade by Associates for Biblical Research (ABR). Since the upper reaches of this volcanic mountain are covered with broken lava rock everywhere and are currently extremely difficult to ascend or descend, its present state makes it a poor location for Noah's Ark to land and for all the animals to easily descend. Some have theorized if the mountain was lower after the flood and then was uplifted later on with more volcanic activity around the parasitic cones similar to Little Ararat. 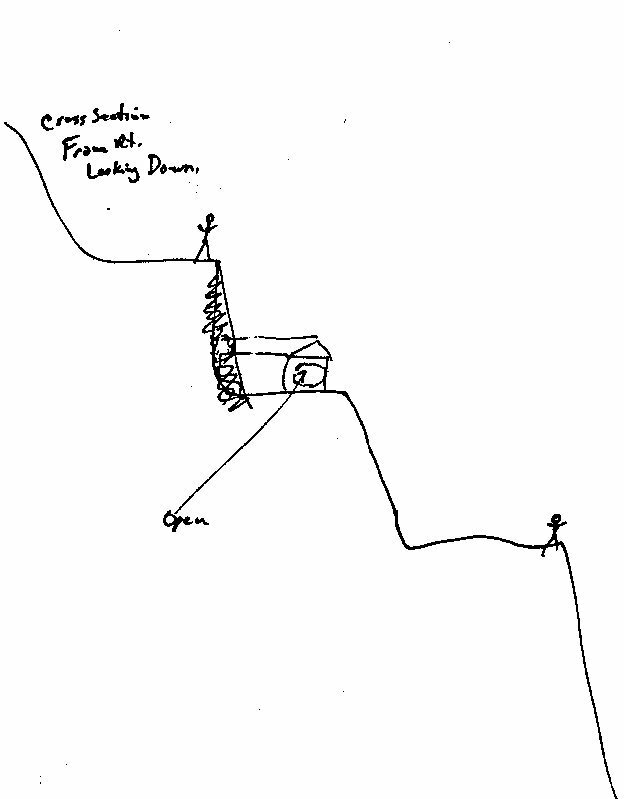 Yet, Mount Ararat has the bulk of the purported eyewitnesses of the boat-like structure since 1850. These "alleged" eyewitnesses are one reason why the search may continue on the mountain. Given the extensive research which has taken place on Mount Ararat, it seems fair to say that if Noah's Ark ever survived into modern times and is somewhere on Ararat, there are few new places remaining on the mountain to search unless it is buried under the ice cap or lava. There have been many expeditions, accounts, alleged sightings, anomalies, and claims of discovery involving Mount Ararat. What is lacking is any scientific evidence or photo that shows that Noah's Ark survived until today. However, one should also consider the possibility that Noah's Ark landed on Mount Ararat and was subsequently destroyed, which is the possibility alluded to in the article Even If Noah�s Ark Is Not Proven, Noah�s Ark Still Could Have Landed On Mount Ararat. 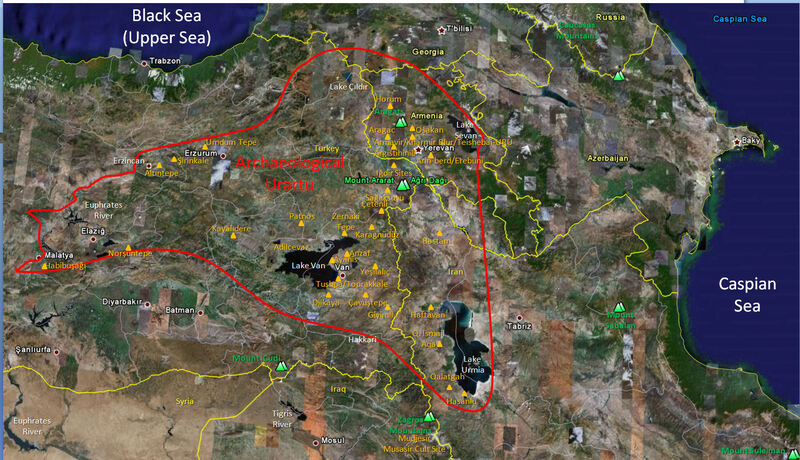 Given all the ground and aerial expeditions (and one with sophisticated mapping capabilities), one should surmise that if the remains of Noah's Ark are indeed on Mount Ararat, they are not in plain view; if the boat is there, it must be buried. 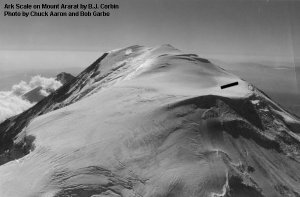 There have been 2 attempts that used sub-surface Radar (Ground Penetrating Radar - GPR) technology on Mount Ararat to look under the ice. The 1988 Willis expedition and the 1989 Aaron/Garbe/Corbin expedition used GPR. The 1988 Willis expedition successfully surveyed the eastern summit plateau and the saddle area between the two peaks, concluding there were no Ark remains under the ice. The 1989 expedition was not as successful as the preceding year, where a less-capable GPR system was used in temperate (melting) ice cap conditions on the western plateau of Mount Ararat. 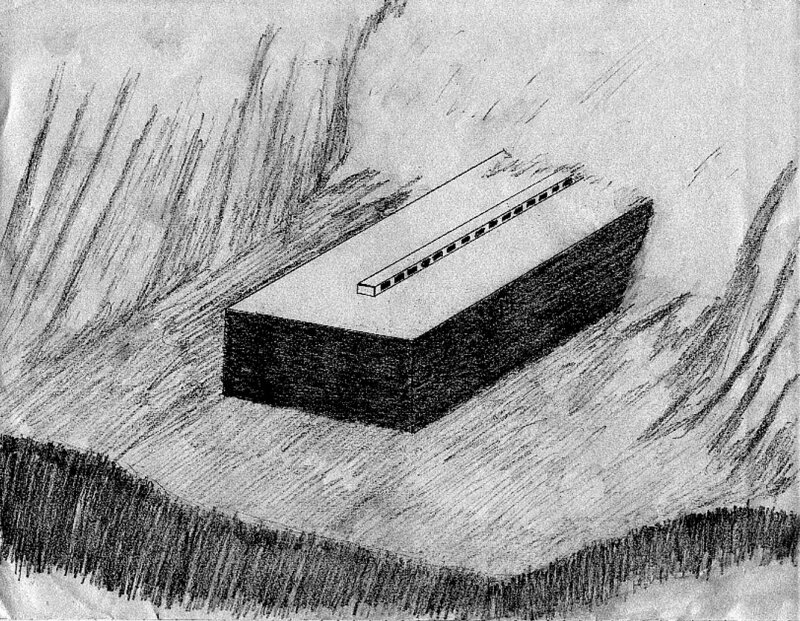 However, they were able to determine the ice depth on the western plateau and scale the size of the Ark. As the next generation of commercial RADAR Satellites become available, the GPR will not be needed and it should be clear if any anomalies are underneath the ice cap. If the remains of Noah's Ark were in moving ice on Mount Ararat (there is only one legitimate glacier, the Black Glacier, though there are other moving ice flows like the so-called Parrot Glacier), the Ark would have been ground to bits. ArcImaging contends that until the entire mountain has been adequately "sub-surface" surveyed using the latest RADAR technology, some people such as the alleged eyewitnesses contended that the Ararat ice cap contains the remains of Noah's Ark since about 90% of the supposed eyewitnesses claim that the boat was sticking out of the ice even though the explorers over the past 50 years did not see the same boat-like structure. An Armenian Perspective on the Search for Noah's Ark by Rick Lanser, M.Div. The List of Known Expeditions with years and members are listed here. If you have corrections or enhancements for the list, please email us. 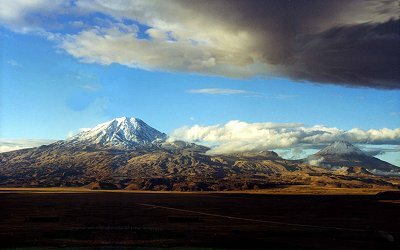 The following links are to copyrighted photo albums of explorers and researchers around Mount Ararat. Please refer to the FAQs if you would like to attempt to use the photos in any fashion. NOTE: There is much more detail and resources in the book The Explorers of Ararat: And the Search for Noah's Ark. The areas of high interest are the Abich II Glacier from between the two summit peaks "the saddle" at 16,500 feet down to 14,000 feet, and then the Ahora Gorge just below. Some information about the Mount Ararat Research Foundation (Aerial Stereophotographic Survey) expedition to the Ahora Gorge page has been added. 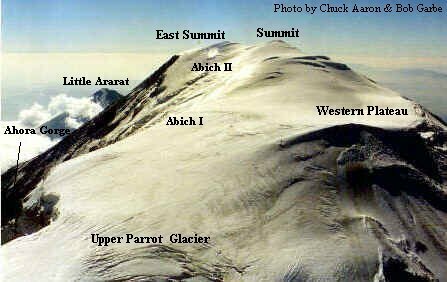 Some have an interest with an Ararat Anomaly on the rim of the Western Plateau around 15,000 feet. Information and DIA photos regarding this site were obtained by Porcher Taylor using the Freedom of Information Act. Although the CIA statements are interesting, there is nothing visible or very interesting in the photos provided. 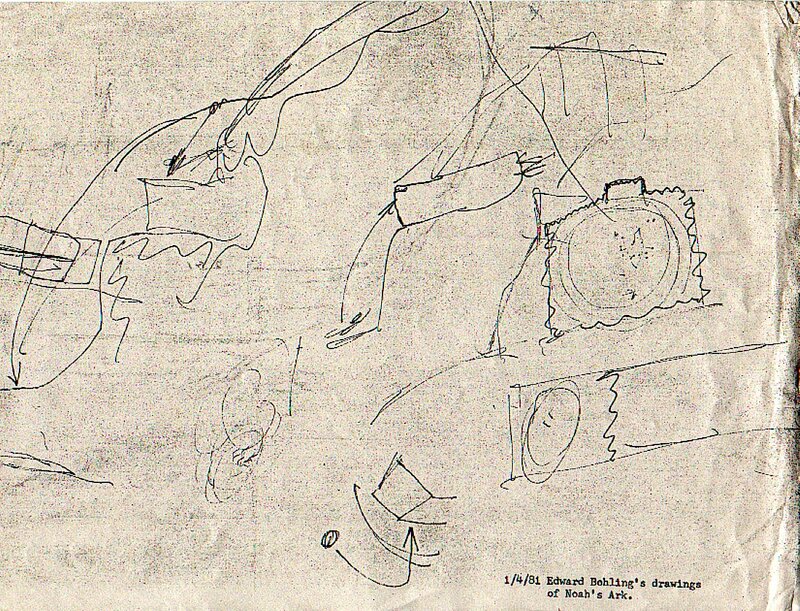 B.J. Corbin had a suspicion about the Chuchian site, located on the northwest side of Mt. 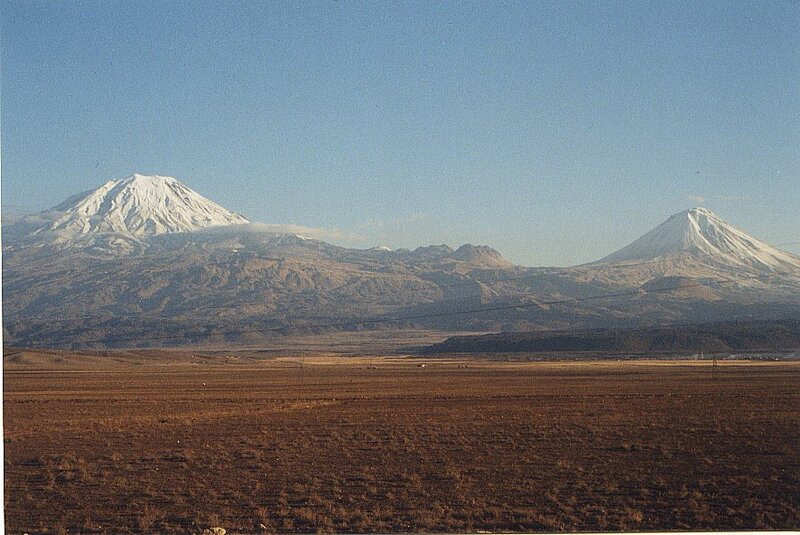 Ararat in a remote canyon at approximately 13,000 feet but believes that the area is too small. 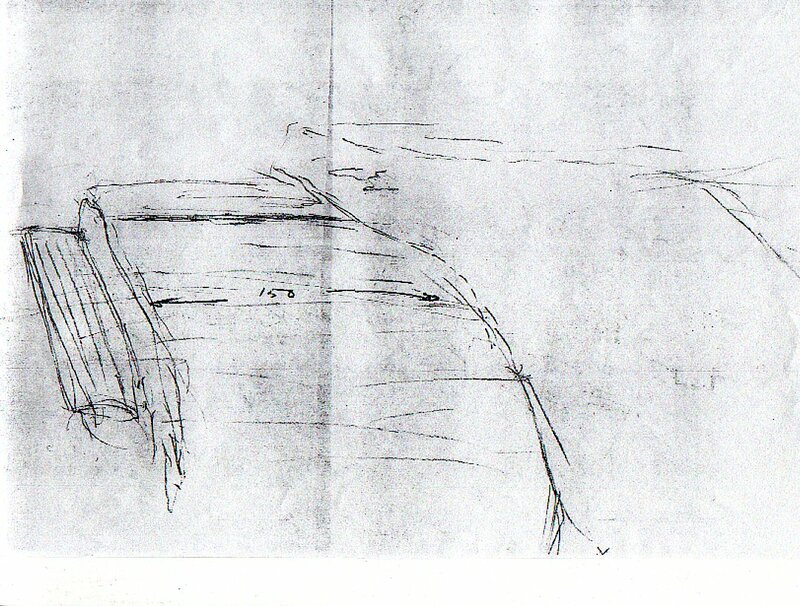 The Western Plateau and Parrot Glacier are two areas of interest, especially since many of the local people pointed to this general vicinity when questioned, possibly because Fernand Navarra brought his wood down from the Parrot Glacier area. An ARF expedition with Navarra, Bill Dougall, Alva Appel, and Bud Crawford in 1968 failed to find any wood. However, a SEARCH expedition with Navarra, Elfred Lee, Bud Crawford, and Hugo Neuberg in 1969 did discover small pieces of wood in a melt pond next to the Parrot Glacier in what was termed the Navarra Ice Pack. Navarra's 1950's guide claimed that Navarra planted the 1955 wood on Ararat. This is a possibility since Navarra was on the mountain in 1952 and 1953 before his 1955 discovery and in 1968 before the 1969 discovery. Irregardless of where Navarra's wood originated (both wood samples were analyzed to be of the same tree-type), both 1955 and 1969 wood samples were carbon-dated around 1300-1700 years old, far short of any possible Noah's Ark landing. Some people believe that the United States Government or Military has information about Noah's Ark. There is no proof about this despite alleged eyewitnesses. Matthew Kneisler, Rex Geissler, Steve Emse, Porcher Taylor and others have created numerous Freedom of Information Act (FOIA) requests. All except the 1949 photos of the Mount Ararat Anomaly have produced no real documentation. Some of the responses are here. ArcImaging does not believe that wood should be sought or promoted as evidence of Noah's Ark since dating will alway be debated. The only reason to search there on Mount Ararat the first place is because of the alleged eyewitesses over the past 150 years and they claimed to see a boat, not pieces of wood. Also, even if the wood was dated "early", there would be no way to prove that this "new" wood was a part of Noah's Ark anyway so it would be extremely controversial and debated. Ed Crawford claims a spot near the upper reaches of the Parrot Glacier but there is no evidence that Noah's Ark or a huge man-made structure has survived at this location. As well, an Italian named Angelo Palego claims a spot between the upper reaches of the Parrot Glacier and the Western Plateau at approximately 14,000 feet (4300 meters). However, as with other alleged sites, Palego has provided no scientific evidence to back up his claims. Palego associate and webmaster Francesco Arduini says that after there was some confusion with doctored photographs adding Noah's Ark without proper labeling on a previous website, Palego has now authorized the Official Angelo Palego website. In 1988, Dr. Charles Willis virtually eliminated the Eastern Plateau and a portion of the "saddle" area between the two peaks as a possible resting place for Noah's Ark, using sub-surface radar and polar ice drilling. The proximity to the Iranian and Armenian borders, and the military conflict between Turkish soldiers and terrorists on and near Mount Ararat, make it extremely difficult to obtain permission to do scientific research on the mountain because terrorists like to cross from Iran and hide on the mountain before they go elsewhere in Turkey. Because of this, Mount Ararat is a second-degree military zone and few foreigners have been legally allowed on it since 1990. In 2001, ArcImaging was the first organization to receive Federal Turkish Permission to conduct archaeological research on Mount Ararat since 1990. If you have valuable information to share or disclose, please contact the Noah's Ark Search.com Research Group or ArcImaging.